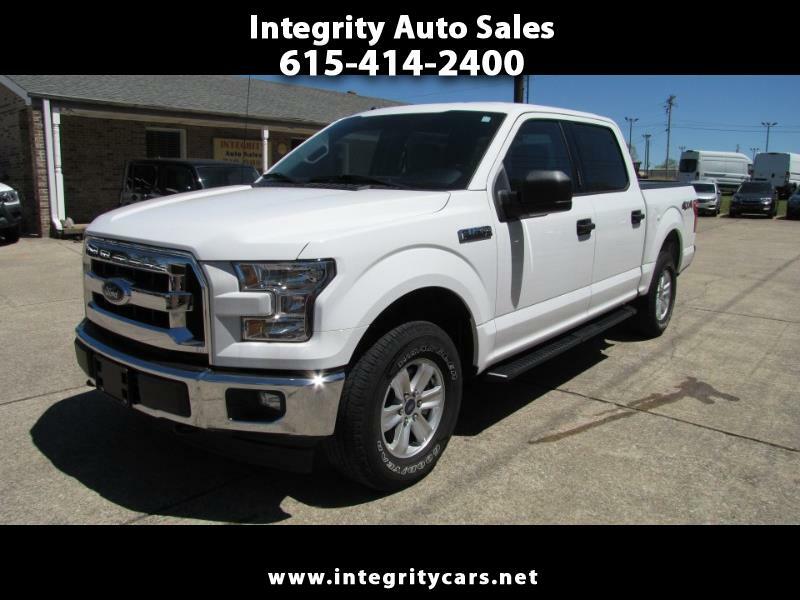 ***This is One Super NICE 2017 Ford F150 Super Crew Cab XLT 4x4 with many Bells and Whistles like: Fog Lamps, Rear Privacy Glass, Tow Hooks,Trailer Sway Control, Black Platform Running Boards, XLT Value Package, Skid Plates, Pro Trailer Backup Assist, Voice Activated Navigation, SYNC 3, Trailer Tow Package, Rear Window Defroster, Rear View Camera, Reverse Sensing System, SPRAY-IN Bedliner, RETRACTABLE TANNEAU COVER, and much more!!! It has in add-on options over $3,700 from factory. The Total original sticker price of the truck was $45,620. See original window sticker. Come and see it for yourself or call 615-414-2400 Have a great day!